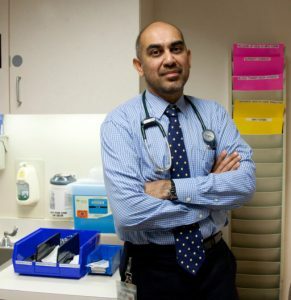 Adil Daud is a UCSF oncologist, professor and Director of the Melanoma Center, specializing in hematology and oncology. In addition to caring for patients, he directs melanoma research to better understand the biology of melanoma and to develop new treatments for the disease. Dr. Daud has developed and led many clinical trials that have expanded the use of gene therapy for melanoma. Prior to joining UCSF Medical Center, he was a researcher at the Moffitt Cancer Center in Tampa, Fla. for seven years. Dr. Daud has won numerous awards, including the American Society for Clinical Oncology’s Young Investigator award and Castle Connolly’s Best Doctors in America award. 2000: Young Investigator Award, American Society for Clinical Oncology for project “Regulation of mRNA stability by Elongation factor I"